So what do you call a left handed PAM00372? Introducing the Panerai PAM00557 or the Luminor 1950 Left-hand 3 Days 47mm watch. It shares all the attributes of the PAM00372 save the crown is on the left or destro. The watch is a Pre-SIHH 2014 novelty and as said earlier, is similar in specification as the popular PAM00372. 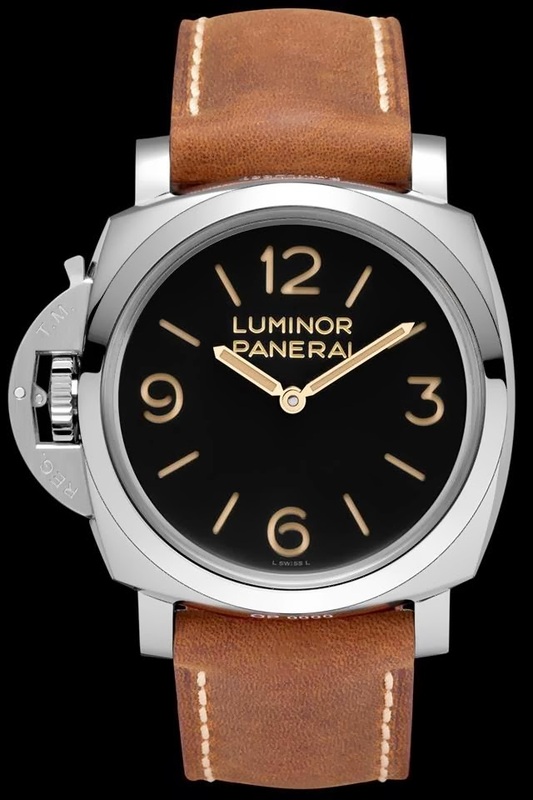 So the watch will be powered by the Panerai in-house P.3000 movement giving it a three day power reserve. It will have the sandwich dial construction and the engraved text on the dial and ecru lime and gilt hands. Nice.